Facebook CEO Mark Zuckerberg’s company spent $8.8 million on his security last year. 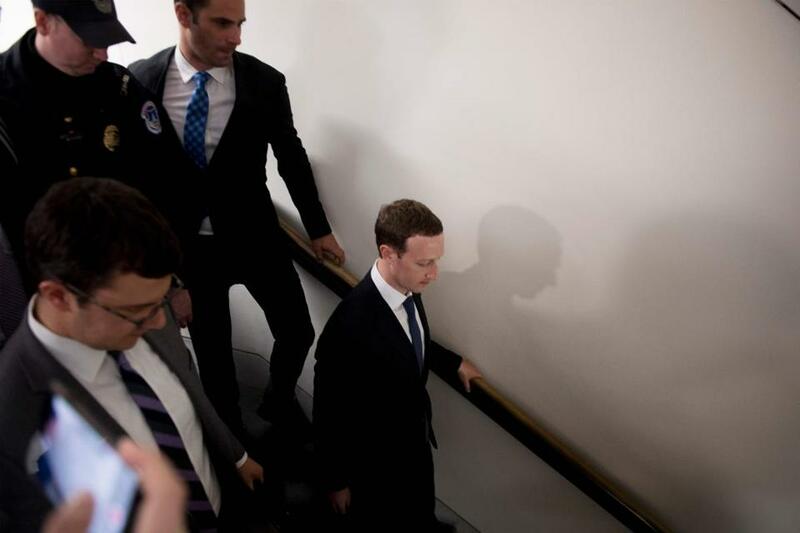 At the end of a critical week for Facebook, one that included more than 10 hours of testimony on Capitol Hill by CEO Mark Zuckerberg about issues such as user privacy and data security, the company disclosed what it spent on a different kind of security: Its CEO’s. A Facebook spokesperson declined to comment on the reason for the significant increase in Zuckerberg’s security-related expenses for 2017, saying in a statement that ‘‘Facebook’s board of directors believes that this investment in Mark’s personal security is entirely justified. He is central to Facebook’s future success and as founder and CEO of the company has a high public profile.’’ The security expenses make up almost all of Zuckerberg’s 2017 compensation: Already one of the world’s wealthiest billionaires, he gets a $1 salary and no annual bonuses or new stock grants from the company. But the big increase did come the same year Zuckerberg made it a goal to ‘‘have visited and met people in every state in the US by the end of the year,’’ the latest iteration of Zuckerberg’s annual ‘‘personal challenges,’’ which have included learning Mandarin or running a mile each day. In the aftermath of President Trump’s election, many speculated whether Zuckerberg’s carefully orchestrated road trip, which included photo-ops with farmers in Wisconsin, firemen in Indiana, and college football coach Nick Saban in Alabama, was part of grander political ambitions or a way to make amends after a tough year for Facebook’s image. In the company’s filing, it said the ‘‘overall security program’’ was authorized ‘‘because of the high visibility of our company’’ and was designed to address ‘‘safety concerns due to specific threats to his safety’’ that include security systems for Zuckerberg’s personal residences, annual costs of security personnel, and private aircraft. Yet that passage was identical to language used in the company’s proxy the year before. Meanwhile, Zuckerberg is set to meet with one of the European Union’s leading regulators this week amid calls on both sides of the Atlantic for more oversight of digital privacy. Zuckerberg last week testified before Congress in the wake of revelations that millions of Facebook users’ private information fell into the hands of British consulting firm Cambridge Analytica. He is scheduled to see European Commission Vice President Andrus Ansip during a two-day trip to San Francisco starting Tuesday, the EU authority said.